As a teenager growing up in the 1980s, all Jerry Mahoney wanted was a nice, normal sham marriage: 2.5 kids and a frustrated, dissatisfied wife living in denial of her husband's sexuality. It seemed much more attainable and fulfilling than the alternative-coming out of the closet and making peace with the fact that he'd never have a family at all. Twenty years later, Jerry is living with his long-term boyfriend, Drew, and they're ready to take the plunge into parenthood. But how? Adoption? Surrogacy? Kidnapping? 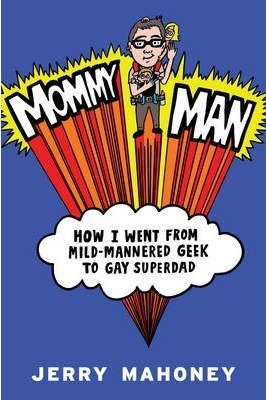 This endearing and humorous book tells of how two men built their 21st century family. Jerry Mahoney is an award-winning comedy writer whose work has appeared in the New York Times and Westchester Magazine and on the Lifetime Moms website. He's the author of the popular parenting blog Mommy Man: Adventures of a Gay Superdad, which was named one of the Top 10 Humor Blogs by Babble.com. He lives in New Rochelle, New York with his husband, Drew, and . . . well, the rest is quite a story.